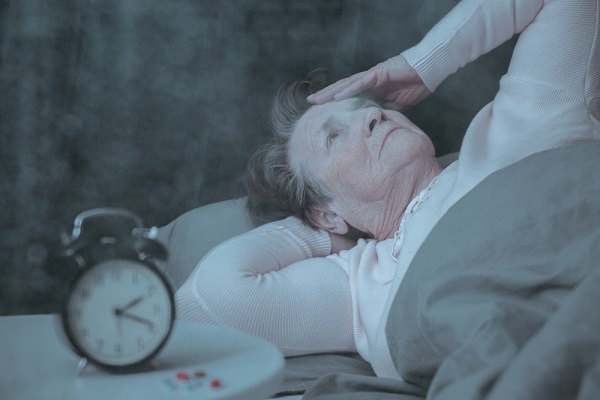 Night time disturbance and sleep problems are very common in people living with dementia, particularly in the later stages as the disease progresses. Dementia causes disruption to a person’s circadian rhythm (body clock) which makes it harder to differentiate between night and day. This can lead to greater confusion if they struggle to distinguish between current reality, past memories, and even dreams. Waking up disoriented can quickly lead to upset and fear. As people get older they need less sleep than they used to. Realistically 5 or 6 hours is sufficient sleep for older adults, and for people with dementia this might be spread over a 24 hour period. This makes it harder for them to get to sleep in the first place, and can result in repeated waking during the night, and increasing restlessness, upset, or wandering. 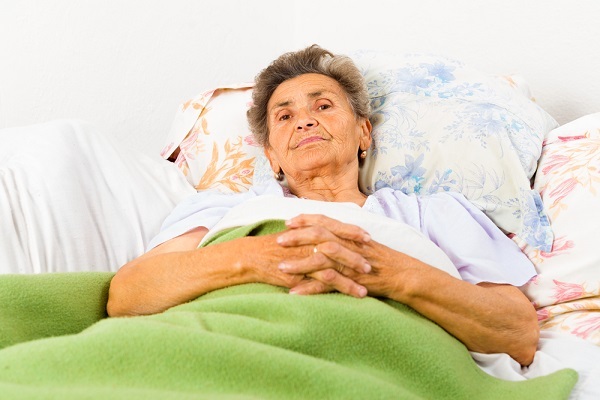 Endless nights of broken sleep can have a detrimental effect on the health and well being of the person with dementia. But it affects family carers even more. The constant worry about what will happen during the night, combined with not enough sleep, can leave family members exhausted and struggling to cope. First and foremost it’s important to speak to your Doctor to rule out any underlying health problems or medications that could be affecting sleep. Urinary tract infections, depression, restless leg syndrome and sleep apnoea are all causes of night time disturbance that can be successfully treated. While at the GPs it’s also worth discussing sleeping pills as this, quite understandably, could seem an obvious solution. A word of warning though - there are risks to giving sleeping medication to anyone with cognitive problems. It could place them at increased risk of falls and fractures, confusion and reduced ability to look after themselves. Often the risks associated with sleeping pills are bigger than any possible benefits, and doctors will be reluctant to prescribe sleeping medication for anything other than short periods of time. Trying a few non medical coping strategies is definitely worth a try before resorting to pills. Try to get out and about during the day. Exposure to natural daylight helps regulate the body clock and gentle exercise may help the person feel tired. Avoid caffeine and alcohol from lunchtime on wards as these can lead to disturbed sleep. Make sure the bedroom is a comfortable place to sleep. Check the room temperature isn’t too hot or too cold and bedding is cozy. Consider fitting blackout blinds or curtains in the bedroom to help keep it dark and avoid confusion from light outside - be it the long light nights in Summer or artificial street lighting in Winter. This helps make it clear it’s still night-time and not yet time to get up. Do make sure there are adequate nightlights though to light the way if the person needs to visit the bathroom during the night. Put a dementia friendly clock, which states clearly “Night-time” or “Daytime” near to the bed where it is easy to see. If you’re worried about night time wandering, think about installing a bed monitor which will alert you if the person gets out of bed. Adopt a regular routine. Going to bed and getting up at the same time each day helps establish a natural sleep time rhythm. Here at Northfield House we know all too well that sleep problems are often a constant source of worry and strain for family carers. If you’re exhausted the person you are caring for may well pick up on your stress and become more agitated and restless. To give carers a much needed break we offer both a dementia day care service and short term respite stays to give carers a much needed break. Give us a ring on 01453 488060 and arrange to come for a look around our specialist dementia friendly facilities. We’d love to meet you and see how we can support you and your loved one. Northfield House is a specialist provider of dementia care in Stroud.We pride ourselves on our warm welcoming atmosphere so please give us a ring on 01453 488060 to arrange a visit. You’ll be able to experience for yourself our strong sense of community and the opportunities we offer for friendship and support. We’d love to meet you!